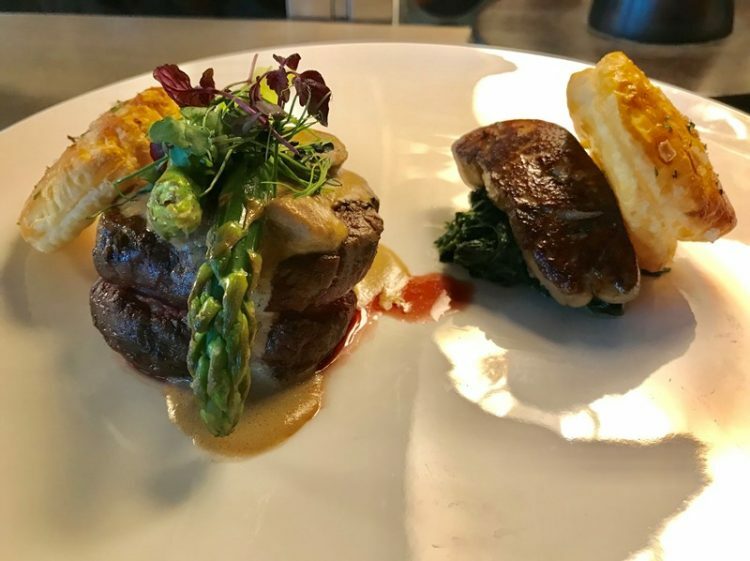 Gastro Sentral at Le Méridien Kuala Lumpur, is a modern interpretation of a classic pub, and trendy dining venue that boasts a menu of quality, freshness and innovation with a relaxed atmosphere but attentive service at a great price. This Valentine’s Day, couples can look forward to a specially-crafted ‘Adam & Eve’s 4-course Set Menu’. 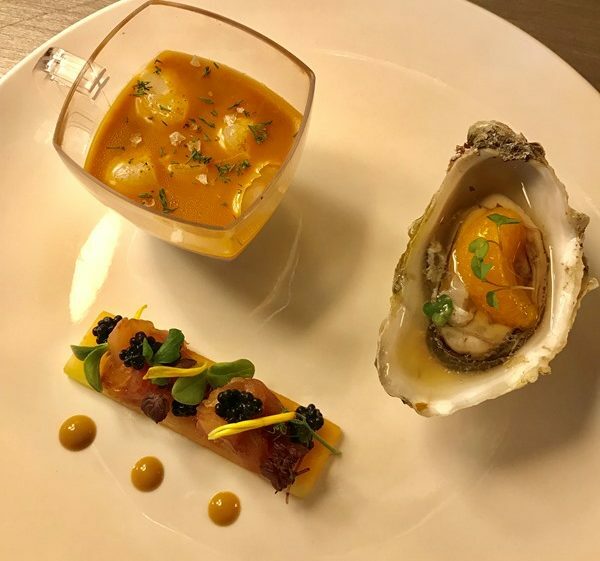 With each course romantically themed, begin the meal with ‘ Love at First Bite ’ featuring soy miso Japanese hamachi ceviche with melon and caviar, lemony cinnamon potted shrimps, and freshly shucked Canadian oysters with yuzu . The oyster’s fresh and briny flavour is complemented by the ceviche, and the tangy creaminess of the potted shrimp helps open up the appetite for the following courses. The soup course comes next. 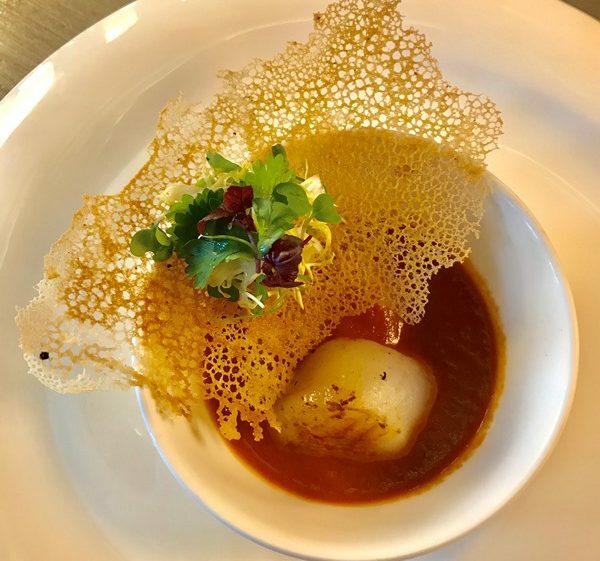 Named ‘ Love Potion #9’, you will be delighted with this delicious Asian style Bouillabaisse with a corriander brittle, and seared jumbo scallops. 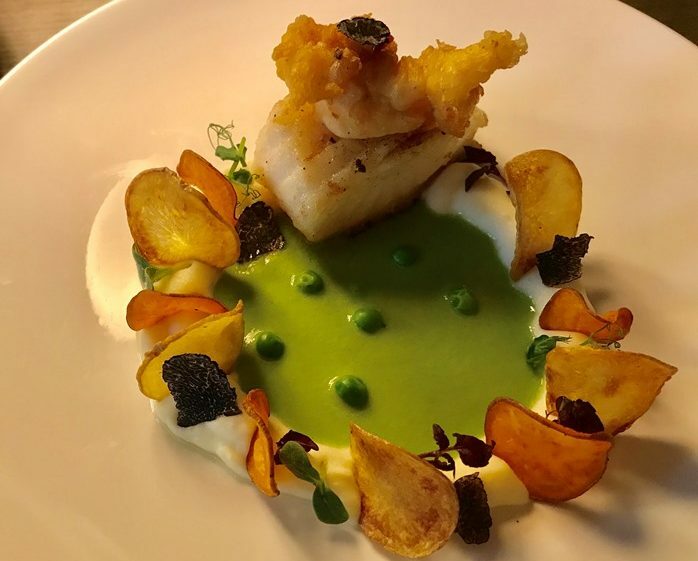 As for the main courses called ‘ Spring of Love ’, there’s a choice between Beef Wellington with a twist: a deconstructed 65°C roasted Angus beef, seared foie gras and wilted spinach, creamy ceps and golden pastry, as well as Fish ‘N’ Chips featuring Truffle-buttered roasted cod fillet, crispy battered Boston lobster, and a variation of chips, shaved fresh truffles, with Green Pea Crema and sweet and sour orange sauce . The Banoffee Pie sweet finale can stand on its own! 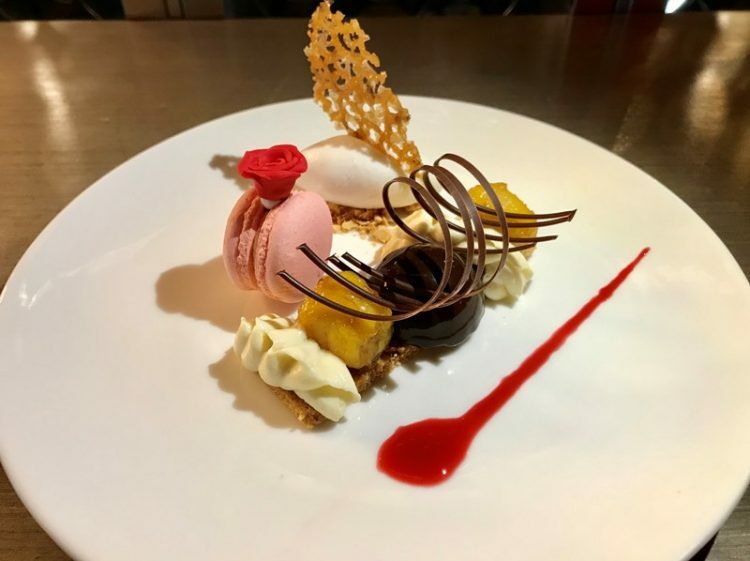 A lovely arrangement of caramelised bananas with cream and toffee on a Graham biscuit crust, lavender ice cream, and a delightful rose macaroon. The ‘Adam & Eve’s Valentine’s Day 4-Course Set Menu’ is priced at RM 420nett per couple (RM 500nett per couple for booth seating) or RM 240nett per person. Go on and book your tables. 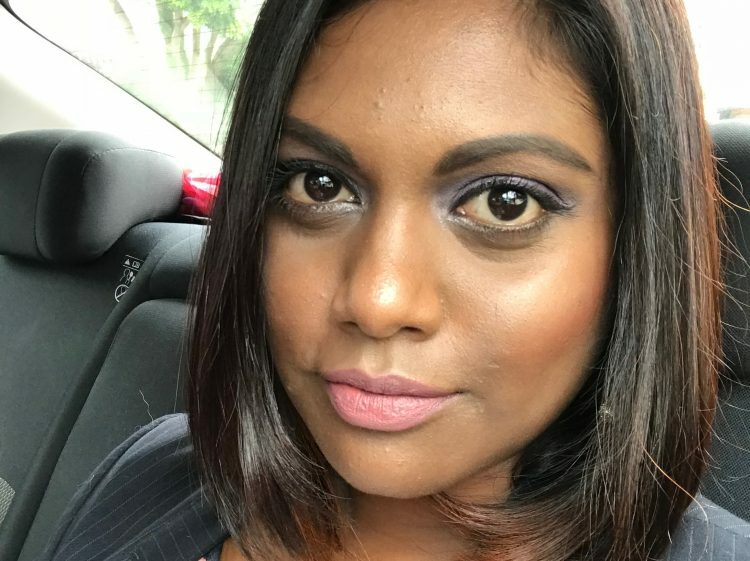 Find: Find directory for Gastro Sentral here.